Mixing a valuable wide-angle range with a compact and lightweight form factor, the AF-S NIKKOR 18-35mm f/3.5-4.5G ED from Nikon is a lens well-suited to travel, landscape, and everyday walk-around shooting. The optical design employs a trio of aspherical elements and a pair of extra-low dispersion elements to control aberrations and distortions in order to realize a high degree of sharpness and clarity. A Super Integrated Coating also suppresses flare and ghosting to increase overall contrast and color rendering when working in backlit and harsh lighting conditions. Additionally, a Silent Wave Motor enables fast, near-silent autofocus performance, along with full-time manual focus override, to benefit both stills and video applications. A wide-angle zoom designed for FX-format sensors, this 18-35mm lens can also be used with DX models where it provides a 27-52.5mm equivalent focal length range. AF-S NIKKOR 18-35mm f/3.5-4.5G ED Lens is rated 4.7 out of 5 by 82. Rated 5 out of 5 by Lyle from LOVE THIS ULTRA WIDE I wanted an ultra wide for my Nikon D750 to supplement my Nikkor 28-300. It was a decision between the Nikkor 16-35mm or this 18-35. DxO Mark says that for my D750, this 18-35 would be sharper than the more expensive 16-35mm. Wow. Also, I have a Sigma 15mm fisheye if I would, for any possible reason, need the width of a 15mm. I could straightened the distortion in post. Anyhow, this was a no-brainer. I ordered this 18-35mm and couldn't be happier. The pictures are sharp and I absolutely love how light this puppy is. BTW, if you order this lens, remember, it has no VR. Remember, VR is not important with this type of lens. Rated 5 out of 5 by the adventurer from Great lightweight wideangle lens for FX Use this for cramped spaces or wide landscapes (or seascapes/skyscapes). Use it with a high resolution camera sensor when you simply don't want the weight of something more general purpose (great image quality). The light weight makes it easy to handle, but, other than landscapes, you will want to get close to your subjects for the best shots. Pair it with a nice long zoom lens (like the 28-300) to cover everything you might want to take pictures of with only two lenses. Great price and light weight make this an excellent addition for travel setups. Don't bother with this lens for DX cameras. Rated 5 out of 5 by Robert T. from Great option I have owned the Nikon 16-35 f/4 and still own the venerable 14-24 f/2.8. This is a great LIGHTWEIGHT option to add to the kit. It is extremely sharp with accurate focus. Also it has a 77mm filter thread so all my usual filters can be used without having to use the custom filters and holders for the 14-24. All lenses are compromises in some way and if you need a great option when space is limited and need to use your usual filters this is a no-brainer. Obviously it doesn't have VR or nano coating but optically I think it is equal or superior to the 16-35. Rated 5 out of 5 by John from Very Pleased My wife and I just got back from a trip to Santa Fe and Estes Park, CO. I used this lens for some landscape shots as well as interiors of the 100 year old lodge where we stayed. I processed all my raw images with Lightroom. My images were sharp and the distortion at 18mm was correctable. The lens is light and easy to carry. I was very pleased with the results. I had sold my Nikon 16-35 several months ago. for several reasons. I much prefer this one. I've bought from B&H for many years and I'm always pleased with their service. 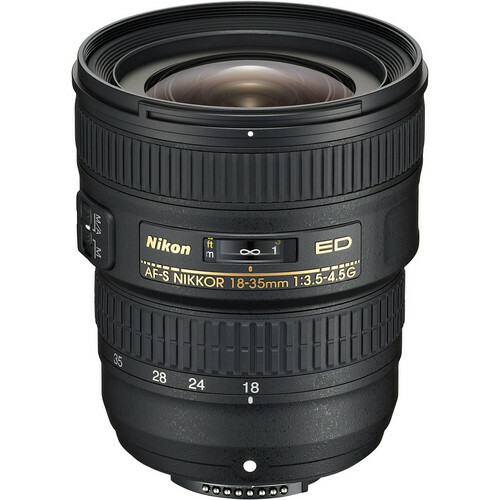 Rated 5 out of 5 by Ismael from 18-35mm zoom AF-S NIKKOR 18-35mm f/3.5-4.5G ED has to be one of my favorite lenses. It is a light weight zoom lense. I consider this lense being perfect for a different kind of shooting. You can shoot nice wide landscapes or use the wide angle effectively when you are trying to fit various elements in your composition. I also Love using the 28-35mm range when I'm shooting street photography or portraits. Some people do not like zoom lenses because they are not as sharp as primes, but in my opinion it is sharp enough and you can always do post sharpening in Photoshop or Lightroom. For me using zoom lenses equals less equipment and less weight. This is a perfect lense to take in a backpacking trip. Rated 5 out of 5 by RachelCash from I'm liking this lens Considering how slow this lens is, I'm a little surprised by how much I like it. I thought it was going to spend a lot more time in the bag, to be honest. But no, I've had it for a few weeks now, and have really enjoyed using it. I've tried it out in several different settings and appreciated it in all of them. While I wished it was a lot faster as it got dark, I can appreciate it for what it is - a very sharp wide angle zoom lens. Minimal vignetting, although I did notice a bit at 18mm. All in all, great for daytime landscape shots. Rated 5 out of 5 by Landscape Photographer from Excellent lens even on full field I was going to replace this lens and upgrade to the 16-35 f/4 lens which I purchased, but when I compared the two leses side by side, aperture for aperture the 18-35 was noticeably sharper from edge to edge. Even when stopped down to f/8 and f/11 the 18-35 outperformed the 16-35mm f/4 lens which was returned and my 18-35 lens became the keeper. Outstanding sharp lens and light weight, highly recommend it to anybody. Is this lens grey market or USA? It is not designated on the B&amp;H website. In situations where B&amp;H offers both a USA and an imported version of a product, we label each version clearly and explicitly. If a product does not have an indication either way, it is understood to be by default a USA product. In situations where only a USA version is offered it will not be labeled USA. Is this lens weather sealed? This is a partially weather sealed lens. There is a rubber gasket on the rear to help keep dust and damp from getting into the lens or camera at the lens mount. However, the rest of the lens does not have weather sealing. Do not panic if a few drops get on it, it will be fine. Just don't leave it out in a heavy rain. That would not be fine. Is this lens made in Japan? According to the information we have, our current inventory's Country of Origin is China. Please be aware this can change over the product's production life without notice. Is manual aperture adjustment possible on this lens? 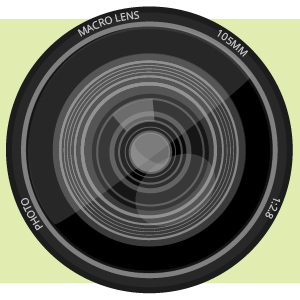 There is no aperture ring on Nikon G lenses, however, manual aperture adjustments can be made in-camera. Compared to the Nikon 24mm 1.8G? I think the 24mm 1.8G is stellar. I use it for landscapes. Anyone switch to the 18-35 3.5-4.5 from the 24mm 1.8G? I know what DxoMark etc tests show...how about the real world? I use a D800E. Yes, it is an AF-S lens. If you move to FX eventually you will be able to keep it. It is said that, in terms of IQ, D lens has chromatic aberration issues while G lens has not. what is the mount material made of? Metal mount, super sharp lens.